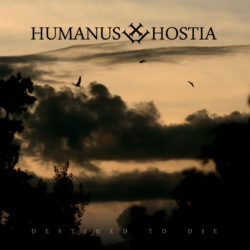 The Swedish Project Humanus Hostia has finally come back to strike a blow after several years from the remarkable debut album Nostalgica. The new one Destined To Die is the opportunity to ask a few questions to S, the only mind behind this really interesting monicker. 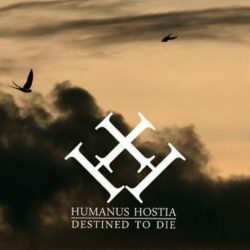 What did happen to the Humanus Hostia’s project in the time between Nostalgica and Destined to Die? It seems like a black hole, now when I think of the past few years, but if I were to look at what I’ve got, the answer is that I made a lot of new tracks during that time. The Nostalgica album was the result of Le Crépuscule du Soir Productions contacting me, saying that they wanted to release the track’s I had online, so I put what I had together and put some extra time in a few (at the time) ongoing recordings (In Restraint, Days to Embrace) and then they released it. By that time I already had some new tracks, and knew what I would like to do. My music writing is a continuous process that don’t have a distinct start or finish, so when something is almost done, a few new songs has already started to form and is in recording. A few years later I had everything I wanted for Destined To Die, but also a few tracks for a side project “Whilst Dreams Are Dying” that focused more on ambient/instrumental music. I also started a project with more “folk-ish” sound. Made a few tracks, but not released anything to the public, yet. So, it happened a lot in between those two albums. Destined to Die has immediately appeared to me as a well-defined CD. Tell us everything we need to know around its creation and on the final decision to produce it by yourselves, (by the way, the digipack is really beautiful!). I think it actually started with the Nostalgica Album. Since it was a mix of older and more recent recordings, it became obvious to me that it’s all about a line of life. The beginning, the “middle part” and the end. Nostalgica was the beginning, where Humanus Hostia was actually formed, so DtD became some kind of transportation towards the end – life. It’s about different aspects of life where ending it in many situations is the best solution. I would not say it’s suicidal music, but rather a reflection of what life feels and seems like. Life’s a struggle in so many ways, and in some way it’s what makes me create music, since that is my form of expressing myself. Life is so fundamental to our being as humans, so that people end their lives just over nothing. I find that kind of ironic, but at the same time it’s very real and very close to everyone that is not lobotomized. I’ve produced everything so far myself, but Nostalgica was released by LCDSP in two editions. Destined To Die was meant to be released by LCDSP, but the (french underground) label went totally underground and disappeared. After a long time of waiting for the release, I decided to release it myself to be able to go forward. I still don’t know what happened to LCDSP, so I don’t know if I have a label behind me or not for next release. By a first listen, the Humanus Hostia’s music could appear to the most as “simple depressive black metal”, but I notice that different hallmarks are present under the skin. How would you define your music? Which are the most important influences that inspire you to create your compositions? I’ve thought a lot about it myself. It would be easy to say “yes it’s depressive metal”, but it’s not entirely true. I make a lot of music when I’m not the happiest person, but that’s my way of handling things. It’s never really suicidal or depressive, it’s rather emotional and expressions of emotion (emotion can be depressive stuff of course, so in that sense it is depressive metal). I don’t know what it is.. “Emotional metal” or “Depressive metal”. In some ways it’s the same in my music, but at the other end, it’s not. If you take a look at Nostalgica, I would say it’s more something of a nostalgic feeling, although you can find a lot of more “depressive” lines in the lyrics. DtD is maybe a bit more dark, since it’s no longer about the nostalgic feelings, but more of a present darkness lurking around us. I loved Nostalgica since my first and faraway listening. Several years are passed by now from its realization. Can you tell us how it was accepted and above all if you are satisfied about it even now? Well, first of all, it’s probably mostly through sites like youtube where I get a feeling of how things I create is accepted. I know the first 100 copies sold out pretty fast, but it’s a small number world wide. I think it is interesting to see in the youtube statistics page which track is most listened to and which is has the least listens. It’s not entirely off from what I would expect, but still makes me wonder sometimes. From my experience, it was received well. Probably better than I expected. I’m somewhat satisfied with Nostalgica today. It’s probably on a track by track level, where some tracks I think should sound a bit different, because of their differences to my own mental picture of the track. The mix of sounds on different tracks is both something that I like, but also something that annoys me. If it was recorded today, some of the tracks would sound different. To be honest, some of them are already re-recorded, but has not been released in any way. I was thinking of releasing them as a free edition of the Nostalgica CD, but it’s still some changes that has to be done before that will happen. I really like the piece called “Contemporary past”, but can not reconcile with the Nostalgica version. What’s the future about your project? Can we expect something new in a short time? I would like to say yes! I’ve made a lot of recordings and many of those are only missing lyrics or some detail that I just have to sit down and record. I think the most likely release will be an instrumental collection of tracks that I call “Whilst Dreams Are Dying”. There is still some work to do, but it’s my plan for the nearest future. 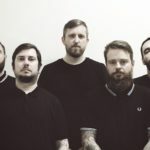 There is a handful of metal tracks in the recording, but they will probably pop up one after another on youtube as they get finished. 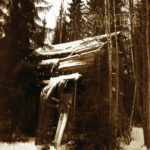 “Whilst Dreams Are Dying” is probably going to be up on the web for download and not released through any record label. 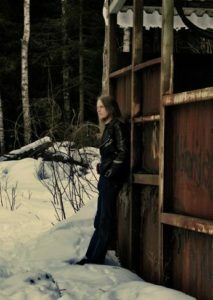 Would you want to suggest 5 special and recently CDs or bands from Sweden? I would like to refer to the masterpieces instead, since I honestly know very little of the scene of today. I tend to play ‘them old goodies’ over and over. And 5 fundamentals masterpieces for you? How does a Humanus Hostia’s track be born and develop? Where do you find inspiration for your lyrics? As I maybe mentioned before, music is my diary. I believe it is the same thing as what a diary is for people that use a diary. But mine is written mostly as music. Lyrics are never important to me, although I try to translate the feeling into text so that it can complement the music. Most of the time I have a feeling, take a guitar and start to pick out some notes that I’m in contact with at that time. Very often it becomes short recordings that is placed in the magic folder “music stuff” and then I try hard to forget them hehe. Sometimes I just listen to these old melodies and finds some I want to build upon. Other times it starts with a couple of notes and two weeks later it’s a full track. It’s a mess for sure and sometimes I don’t even know how to make music, even though I have the feeling inside and everything else is absolutely right. Sweden is seen as an objective, or “a dream”, by lots of people. Which are the best aspects of living there? And which are the worst – if they exist? Well, in some ways it is a dream. Especially when you compare sweden to many other countries that do not have the same freedoms. I would say that the best thing with sweden is the Right Of Public Access or Freedom to roam as it is sometimes called in english. Since I really like nature, this is really important to me. It would feel like sitting in a prison if I couldn’t go out into the woods anywhere I want and put up my tent as I like. It feels like a human basic right, but I know it’s not many that have that luxury. In some countries they believe they have it, but actually they don’t. So yeah, nature in sweden is probably the best thing according to me. I also like the cold weather and have a hard time when there is a hot summer. When it comes to bad things in sweden, it’s harder to put a finger on something specific. Maybe it’s the “politically correct” movements that poisons sweden with it’s narrow views and limited capabilities to use their brains. I’m all for freedom of speech, and they are not in the same camp as me. That’s for sure. The last question is “free”. It’s up to you to conclude. Thank you for your willingness and for your time. Then I would probably ask myself: What is Humanus Hostia in 10 years from now? Since it is 10 years from the first recordings of Humanus Hostia (think it is The Contemporary Past and the Autumn-track), and I can look back at the past 10 years and get some kind of idea of what has happened.. I think that in 10 years, I will still be making music. I don’t think I will ever stop. I’ve been into metal since about 1992, so my feeling is that I will still be into it in 10 years. Humanus Hostia will of course evolve, but I think it will be more of theme-like creations. A bit like what Whilst Dreams Are Dying will be. It will be ambient, and not very much metal. But after that I have some metal that needs to get out of my head and some things are already recorded. I guess that is good for some listeners that like the ambient stuff more than the metal stuff.